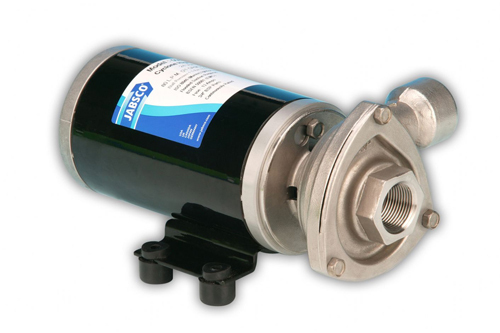 Jabsco are pleased to announce the full availability of the Cyclone High Pressure pump range. Both 12V and 24V DC are now in full production, with both BSP and NPT ports. The High Pressure Cyclone is ideal for circulation and transfer duties where higher pressures are required such as deck wash, screen wash spraying systems and high level water transfer. These pumps, along with the Low Pressure Cyclone and the entire Water Puppy family, have also just passed the relevent vibration standards for use in automotive and rail applications which allow this new range to fulfill more opportunities in the market.